A few years ago we added a garage onto our house (to replace an old car port). 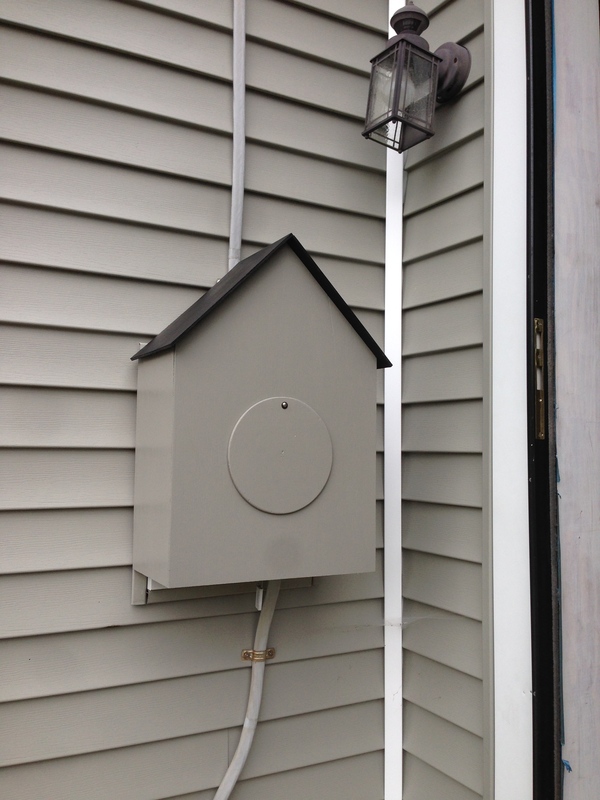 Somehow, the meter box ended up on the front of our house, between the garage door and the front door. It is really tacky looking. So I asked my very handy dad if he could make a little house to hide the meter box. And he did! He matched it to our house, and I think that it looks about a thousand percent better. 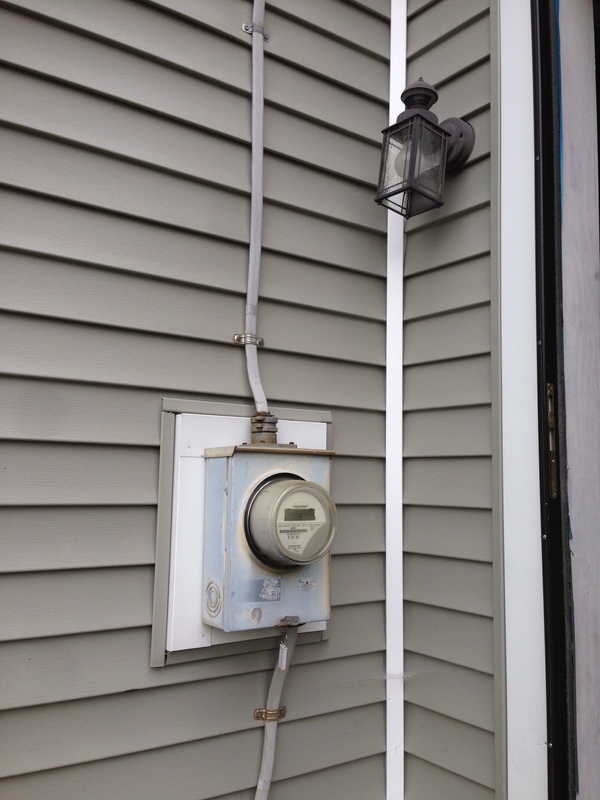 The circle in the middle even rotates so the meter guy can read the meter without having to take the whole house off (it just lifts off and is held on by magnets). We’re going to paint that cord as well (it’s actually partially painted) so that it blends into the house better. Thanks dad! I should take a long shot of the house with and without. It makes SUCH a big difference! And it was a really quick project. That’s gorgeous! What a simple, effective improvement. 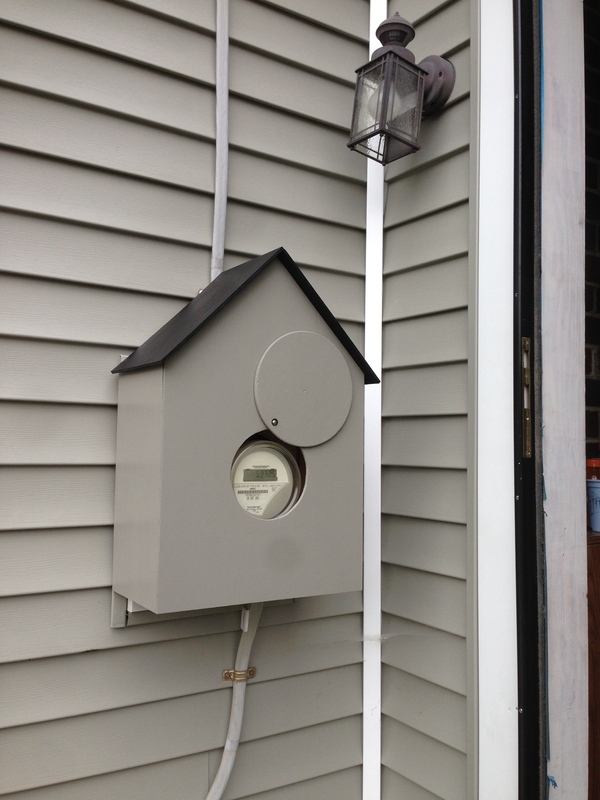 Our meter is in a bland wooden box, but it’s in the garage so it’s not such a biggie.